Short, tight, and easy. Designed with the new recreational player in mind, but great for higher skilled players to work on their short game. Two pin locations with one tee per hole. Good tee signs. Located at B.F. Phillips Community Park - Lebanon Road & Teel. From Hwy 121; Legacy exit. Go north to a right on Lebanon Rd., to a right at 4th Army Road. Go all the way to baseball complex and turn right. 1st tee is behind the welcome sign. 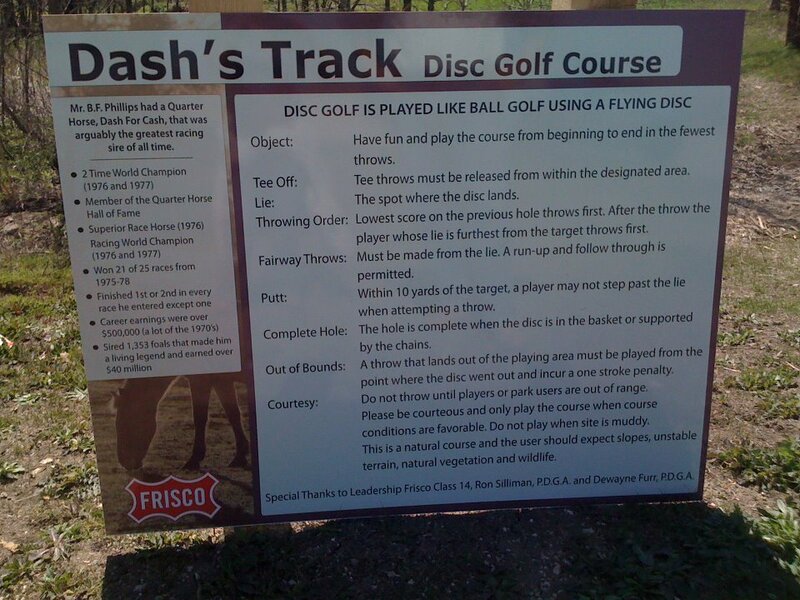 Have you played at Dash's Track Disc Golf Course? Be the first person to review this course!